Soft Alloy Head Hammers | LSP Industries, Inc. Replacement heads save costs up to 70%. 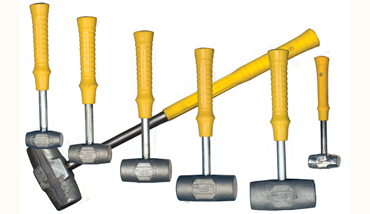 These versatile hammers offer the best features for most applications. The heads are cast of LSP's Soft Alloy, Brass, and Malleable Iron materials. The handles, consisting of a sturdy steel shank with a contoured safety-grip molded permanently onto it, are extremely durable. The grip, of a cushion synthetic rubber, has a comfortable, no-slip feel when grasped. 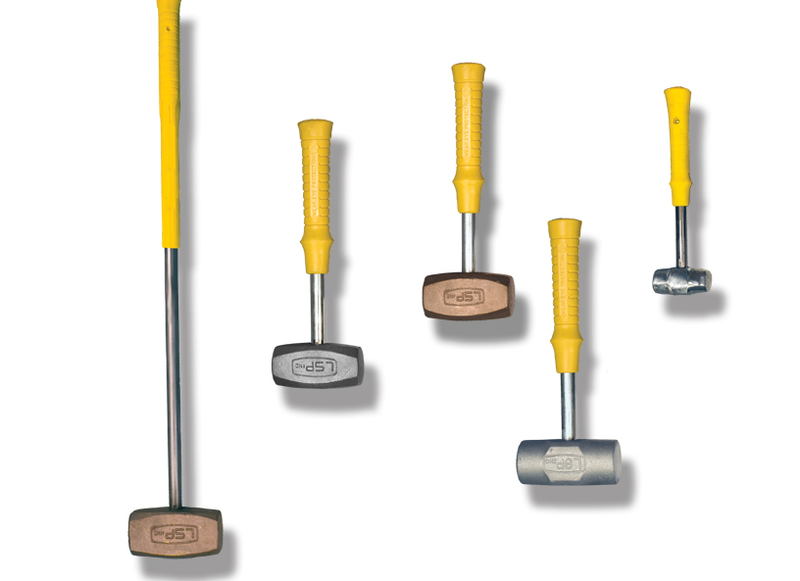 Five different size heads will fit on our standard handle saving up to 70% in cost. 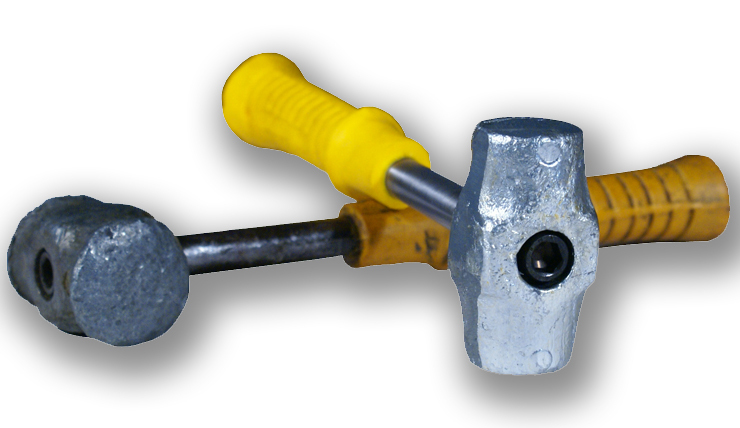 Allows replacing the head while saving the handle The method used by LSP to assemble the head to the handle makes an extremely strong and reliable joint. A high alloy socket head cap screw, deeply threaded into the steel shank of the handle, draws the head down tightly over a taper fit. 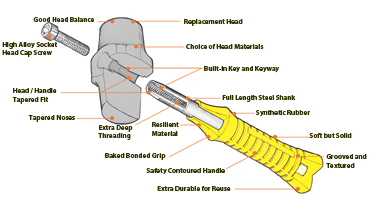 The taper has a built-in key and keyway to properly align the head with the handle. 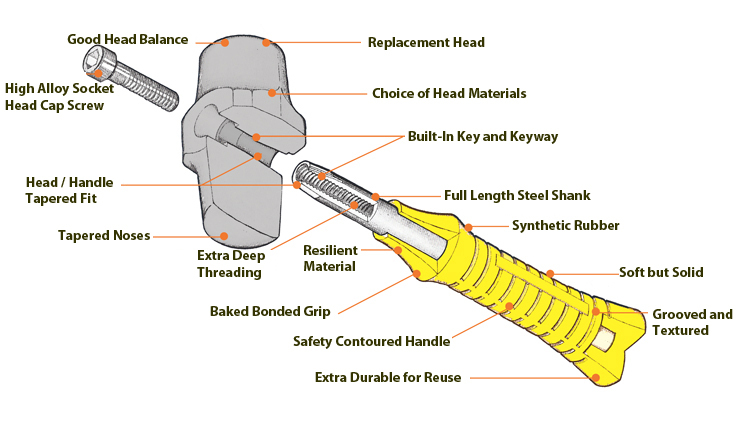 The construction provides a secure, tight and safe joint, yet allows easy replacement of the head. The term “soft” does not refer to the impact delivered, but to the contact made by these hammers. They have solid, heavy heads for good driving force, but the striking face yields readily on contact to prevent damage to the surface struck with no bounce back. The most versatile of the line. these hammers offer the best features for most applications. The heads are cast of LSP Soft Alloy," a lead-free, heavy, dense material which is quite soft and ductiles, yet exceptionally wear resistant.